A cricket field off Newport's Trafalgar Road was the venue for the 1906 IWFBF drill competitions. On this occasion three Island brigades were poised to win the Battenburg Cup for a third time and under the dictation of the late Prince Henry, retain the trophy in perpetuity. 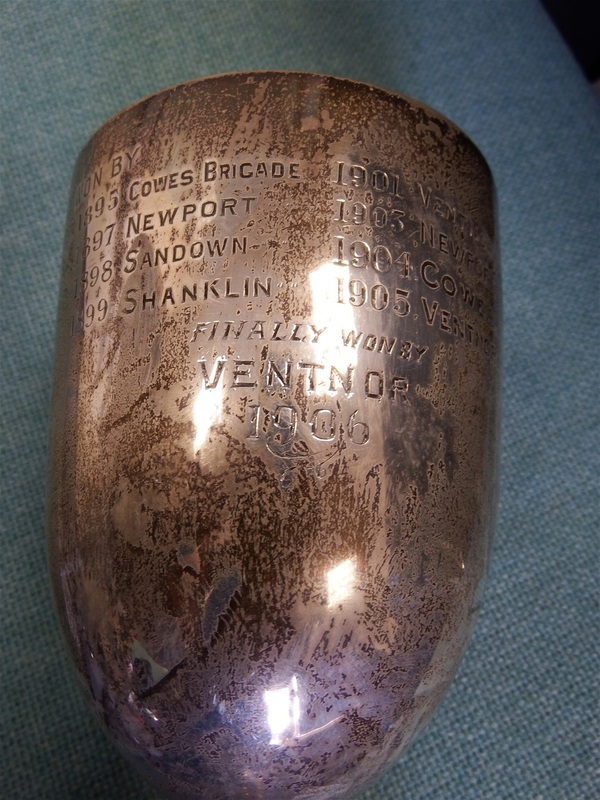 Whilst the home crowd deeply favoured Newport's chances it was the Ventnor Fire Brigade team comprising Foreman G. Pearson, Firemen W. Pearson, R. Spencer, H. Gray and S. Harber that won the cup for their town. Although no-one knew it at the time this was to be the last IWFBF competition until 1924. Sandown Fire Brigade become the first Isle of Wight brigade to sport a steam fire-engine, supplied by Shand Mason Co., of London. The engine is named Primus in Vectis. 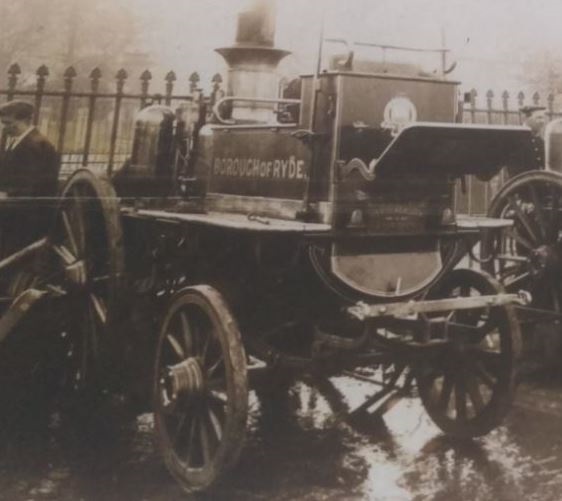 Although Shanklin Fire Brigade were just a few days behind Sandown in acquiring a steam fire-engine, their engine a Merryweather Gem, becomes the first to be used at a going fire when they were called to Newport to assist at a serious blaze in Node Hill. Newport's Council take the first steps to reconstitute the fire brigade. The Volunteer brigade formed in February 1893 is to be abandoned and reformed on part-time professional lines. 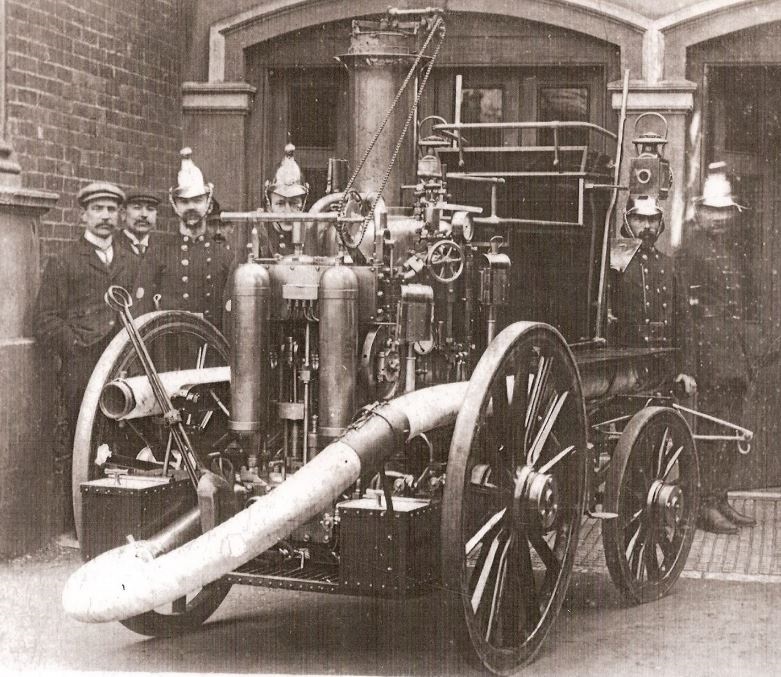 Ryde Fire Brigade become the third Island brigade to be equipped with a steam fire-engine. Having received a visit and display from the Shanklin Fire Brigade they followed the same pattern and purchased a Merryweather Gem and displayed it to the towns people on this date infront of the Theatre Royal in St Thomas's Square (where today's Nat West Bank is situated). 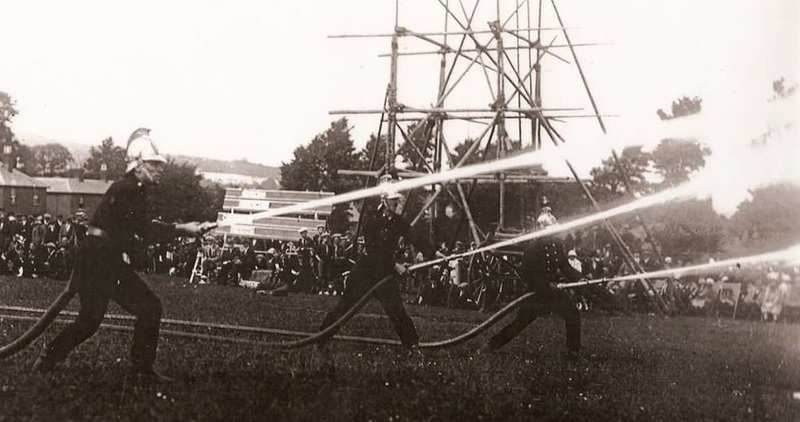 Much to everyone's surprise the newest of the main town brigades, East Cowes, became the fourth brigade to possess a steam fire-engine and drilled with it for the first time on this day. Ryde's Corporation took the decision to merge the Fire Brigade with the Borough Police force and establish what was to be the Island's only Police-Fire Brigade. 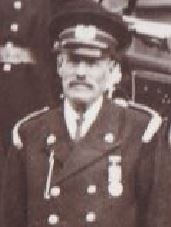 To the chagrin of the veteran firemen they were now under the command of the Chief Constable Charles Greenstreet who delegated actual command to his clerk, Police Constable Harry Hammond. 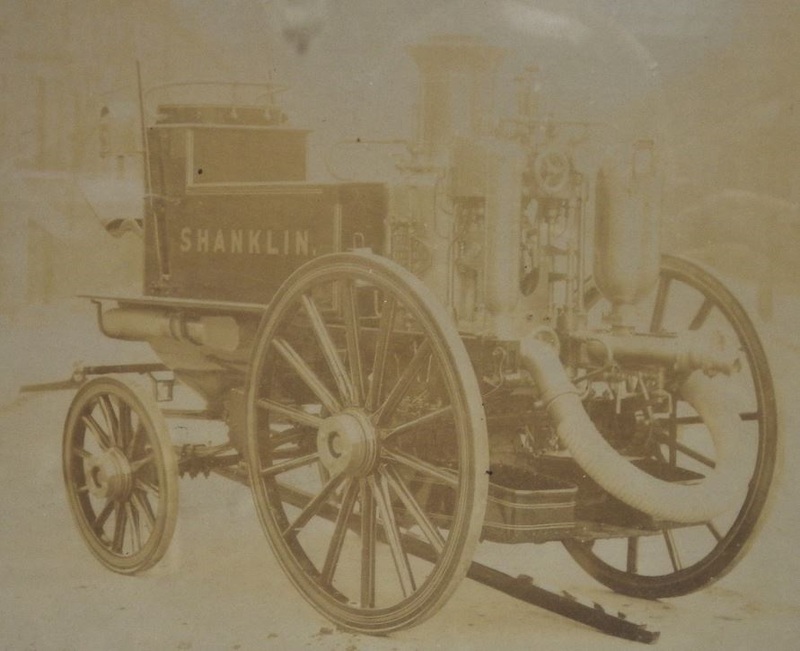 Shanklin Fire Brigade became the first Island brigade to sport a motorised vehicle. Through the generosity of mystery benefactors the subscriptions raised paid for a modified Mercedes that was generally referred to as a hose-carrier but could also carry many firemen and ultimately was adapted to tow the steam fire-engine, doing away with the need to obtain horses when called out. 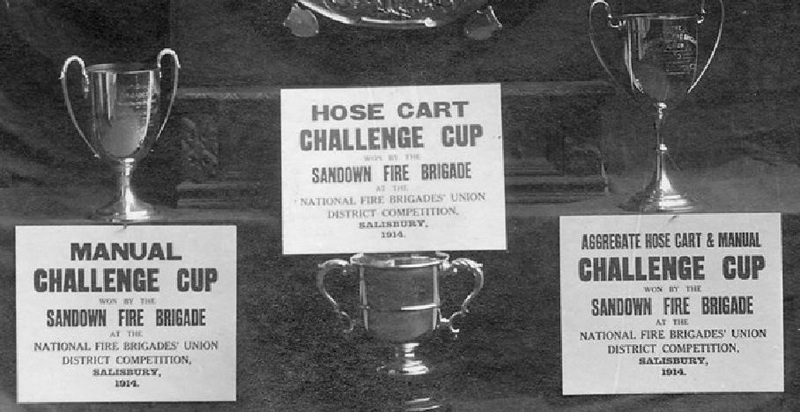 Sandown Fire Brigade scooped three of the five cups on offer at the NFBU Southern District drill competition at Salisbury. The recently formed Binstead Volunteer Fire Brigade conducted their first drill on this day under the superintendence of Captain T.A. Cleaver. Ryde's Police-Fire Brigade superintendent Captain Bertram Hill reached an agreement with Colonel George White-Lewis of the 1st (Reserve) Garrison Battalion, Worcestershire Regiment, to enable some of his troops billeted in Ryde to serve as firemen due to so many of the regular firemen leaving to fight in France. Ryde's tie between the Police and Fire Brigade is shelved on this day and reflected on as an unsuccessful experiment. 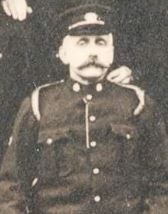 Fireman Henry Frederick Jolliffe was appointed new Chief Fire Officer. A report in the Isle of Wight County Press indicates that on this day Newport Fire Brigade drilled with a 'powerful Leyland motor fire-engine'. However they evidently didn't own one as eighteen months later a County Press report bemoaned their lack of speed to a fire with their horse-drawn steam fire engine. On this day Ventnor's councillors agreed the expense of a Leyland motor fire-engine. It attended its first fire on August 10 at Trinity Terrace. 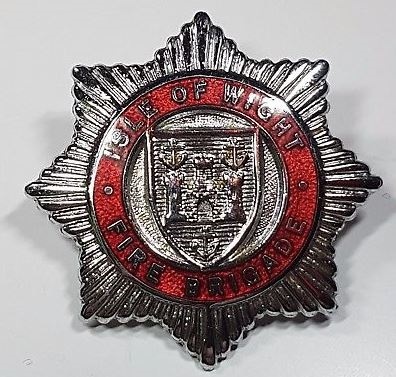 Under the chairmanship of Newport's Chief Officer Nicholas Henry Thomas Mursell, the Isle of Wight Fire Brigades Federation was resurrected on this day and a meeting was held at which plans for the first drill competition since 1906 were discussed. For the first time in 18 years the IWFBF met in competition at the Broadway Ground, Sandown, which was an element of a wider competition featuring several brigades from the NFBU Southern District. The IWFBF make recommendation to all the Island's authorities to work together to form an integrated islandwide fire service divided into strategic sectors. This idea fell on deaf ears, the Urban District Council showed how completely out of touch they were by suggesting that the responsibility for doing so should be that of the fire insurance companies. 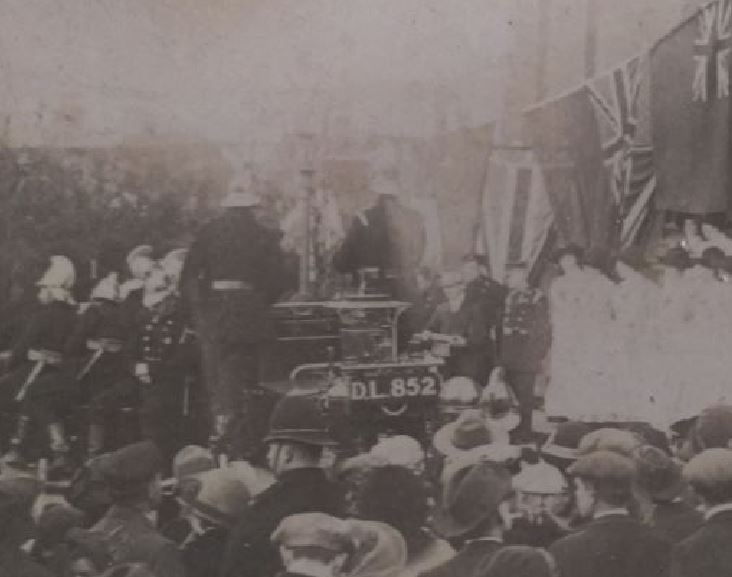 The Island's first motor fire-engine, a Leyland (DL 3950), was christened 'Alice' during a ceremony at Ryde this day. James Dore, former Chief Officer of Sandown Fire Brigade and one of the greatest leaders in the history of Island fire-fighting passed away at his home Fernside, Station Avenue, Sandown on this day aged 71. After decades of talk about fire protection without action, finally on this day Yarmouth installed its first (and only) hydrant in the square. There was still no formal brigade to use it. The Freshwater Rover Scouts offer their services to form the district's first fire brigade on this day. The initiative was quickly snapped up by an otherwise impotent local authority and soon the Rover Scouts Fire Brigade was in action and was in effect the first brigade west of Newport. 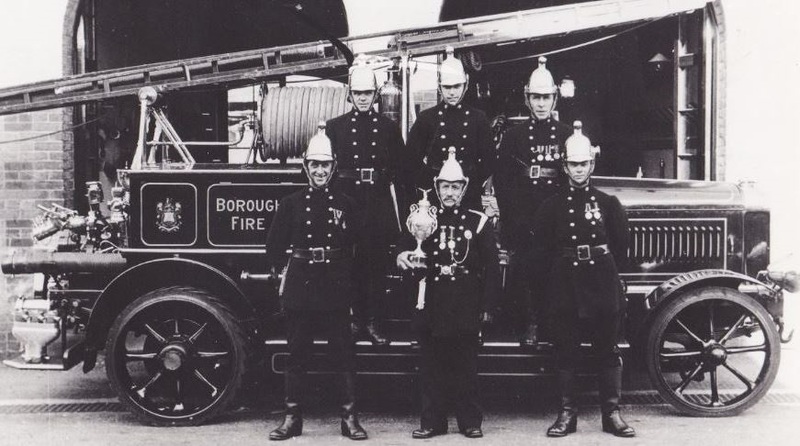 At some, as yet unidentified date in 1929, Yarmouth Fire Brigade was formed (and wasn't to attend its first fire until 1932). Around three years earlier East Cowes's Merryweather steamer was condemned as unserviceable and left the brigade with nothing but an obsolete hand-cart to use. On this date the town's Council voted to purchase a Ford motor fire-engine. After the Rover Scouts asked to be placed on a more formal and funded footing, the Parish Council of Freshwater agrees but co-opts Totland in to a scheme to enable the Rover Scouts Fire Brigade to acquire the funding it needs whilst also expanding its response area. Former Ryde Fire Brigade Captain Charles Langdon, now aged 75, the man who was responsible for the forming of the IWFBF in 1894, is asked to stand as the Federation's President. For the first time in United Kingdom history the government pass a Bill that lead to the enactment of the Fire Brigades Act. This placed an explicit demand on every county borough and county district authority to make provision for extinction of fire and the protection of life and property. On this day Ryde's Chief Officer Max Heller began training the first batch of volunteers to the new Auxiliary Fire Service. Across the Island his contemporaries are all engaged in the same process, for most of them the scope of their responsibilities multiplied ten-fold in a matter of months. Ryde's first AFS volunteers photographed in the garden of the London Hotel with Chief Officer Heller to the left. 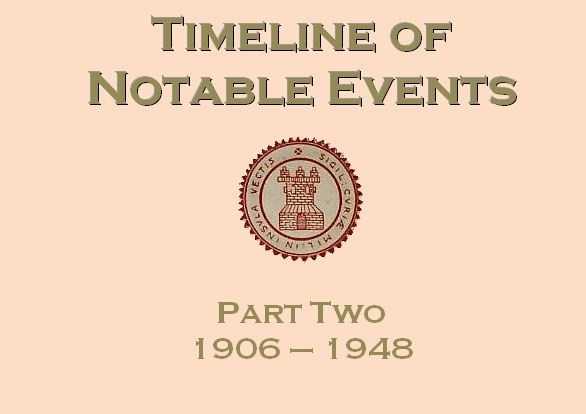 At the strike of midnight on the night of 17/18 August 1941 the Island's fire brigades were to merge in to one unit, that of the National Fire Service. Forming a component of Region 6, Fire Force 14 (generally referred to on the Island as Division 14d), the Island's local authorities were promised by the Home Secretary (as all council's nationwide were) that when hostilities with the Axis ended the fire brigades would be placed back in their hands. This promise was to be broken and the town and parish brigades of the Island were never to reform. 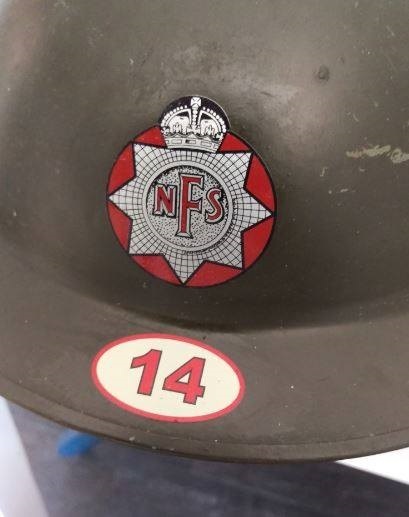 On 2nd April 1948 the Island's NFS sections were disbanded and reformed in to the first islandwide Isle of Wight County Fire Brigade. 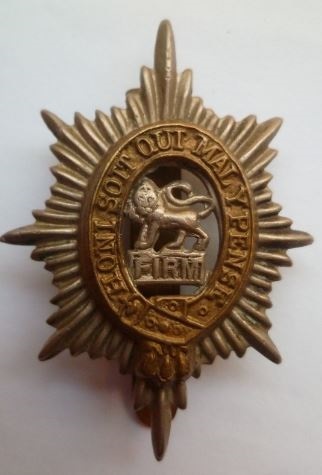 In fact the NFS lasted 24 hours longer than anywhere else in the UK as it was supposed to have disbanded a day earlier but as all the Island's dignitaries and officials decided to attend the NFS disbandment ceremony in London on that day they delayed the formal launch of the County brigade until their return.